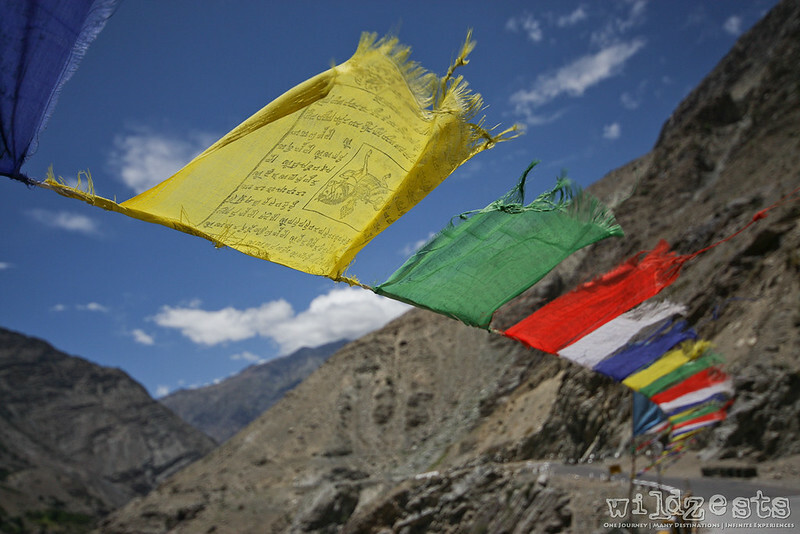 WildZests: Trip #2: July 2008 - Spiti + Ladakh – A bigger plan comes alive! 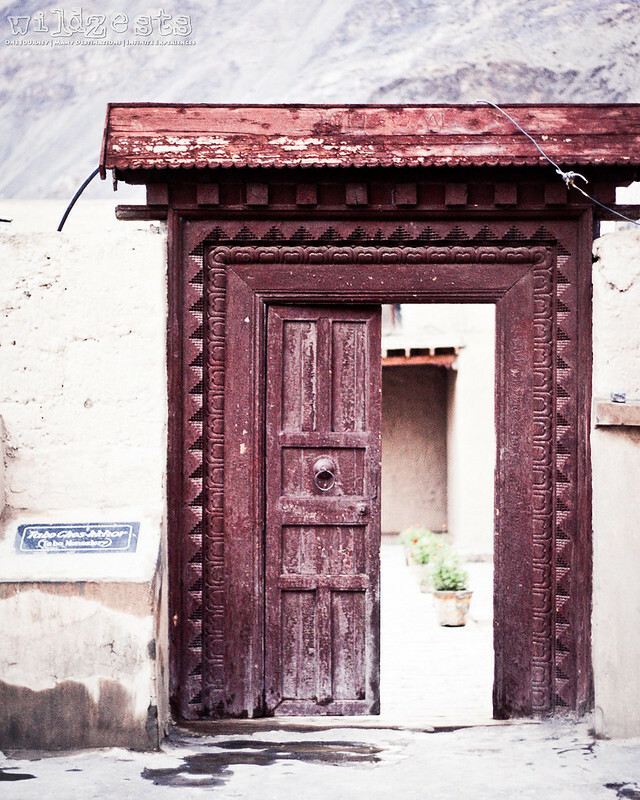 Trip #2: July 2008 - Spiti + Ladakh – A bigger plan comes alive! After the successful 2007 trip, we added a few more things to our to-do list and once again we were all excited. 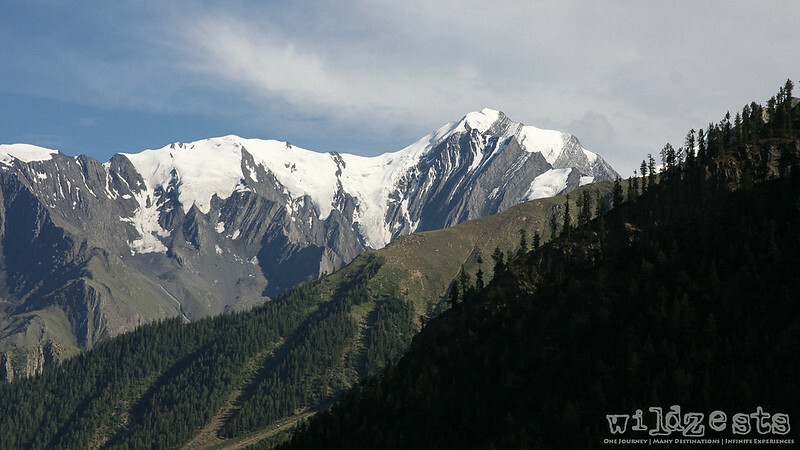 This time we planned to do the Lahaul-Spiti loop and then proceed to Leh and then come back via Manali or even try the Srinagar route if possible. We scheduled this trip for a little over two weeks so that we could travel by train to Delhi, thus saving us some money on the air-fare and also reducing the complexity of shipping the bikes as parcel etc. This time there was more concrete planning on the places we’d like to see and having done it once already we were more informed about the terrain, distances and time taken and basically what to expect. As against the first ride, we were only 4 bikes (3 enfields + 1 pulsar) on this trip with 3 pillions. However, the plan was never to be fulfilled the way it was originally thought of – more on this as the story unfolds! The trip started as usual from Delhi with the first stop being Chandigarh. 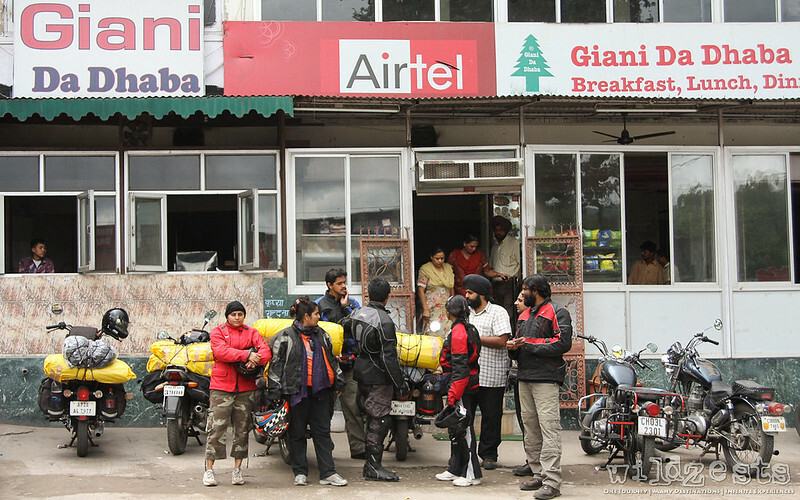 Again, the Road Survivor boys hosted us very cordially and even rode with us till Dharampur where we had breakfast at the famous Giani Da Dhaba. We rode through the almost non-existent roads of Spiti stopping at Narkanda at the govt guest house and then at Kalpa on the following day. 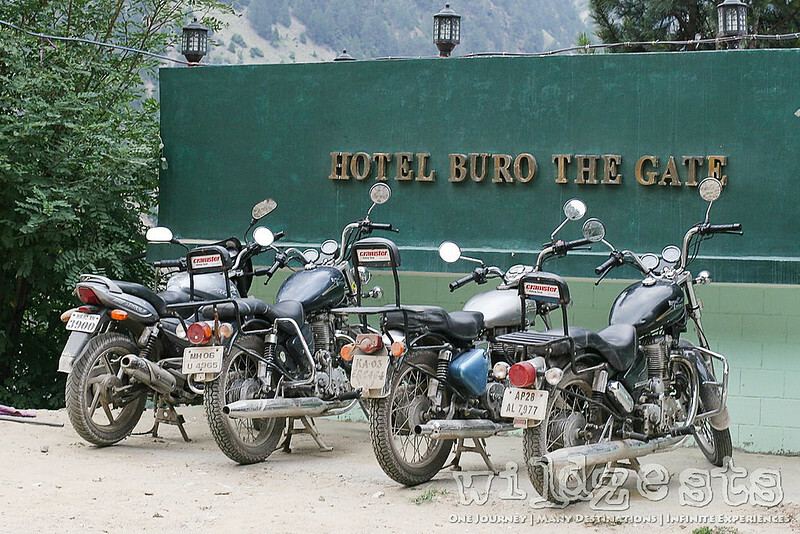 Hotel Buro The Gate was a fantastic experience and it offered a great view of the Kinner Kailash peak. 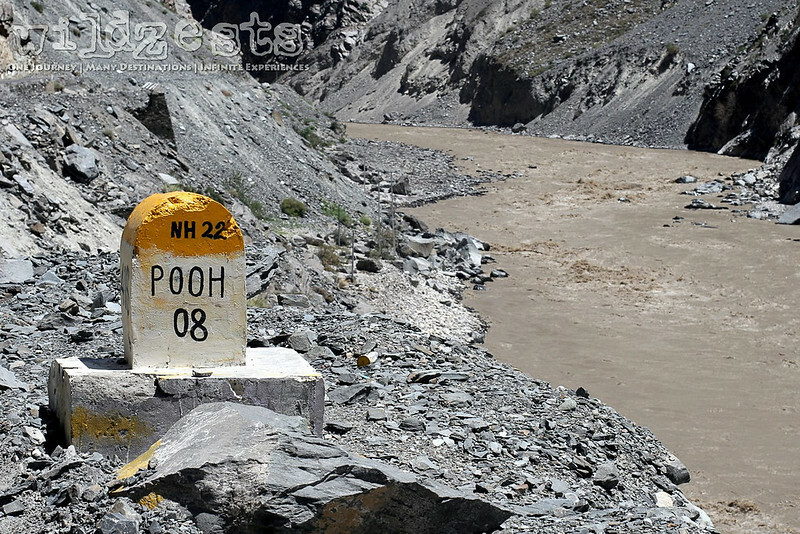 Next day we started our journey towards Tabo and the landscapes changed to the barren mountains as we neared the Pooh village. This was the closest we’ve been to the Tibet/China border as it’s less than 10kms from the village. Slowly and steadily we climbed up to Nako and witnessed the magnificient Nako Gate. Beyond this was the dreaded Malling Nallah that was to be crossed for us to reach our destination for the day. The Malling Nallah was known to be big water crossing followed by an active landslide area where one could virtually experience rolling stones every 5-10 mins. 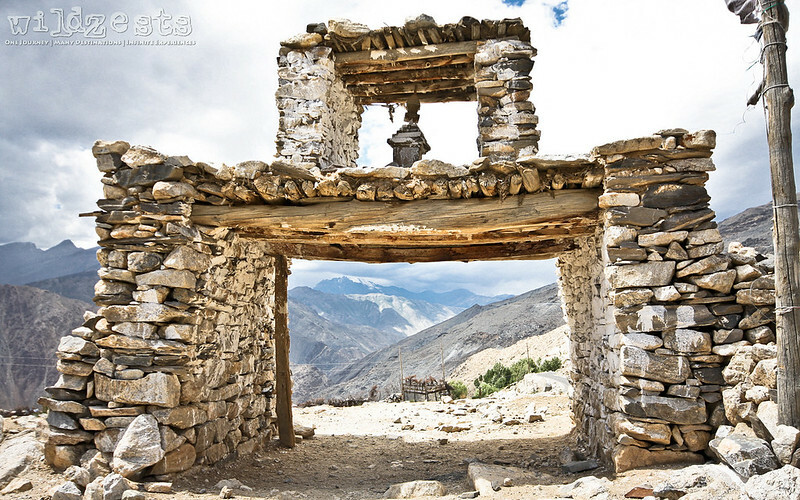 The amount of stones used to be enough to block the road partially or even entirely in certain situations and a bulldozer and a few men and women were posted at the site at all times to clear the road. The water stream was quite big and deep at places and we had to do a thorough recce to make sure we could clear it without getting the bike stuck in water. We cleared one bike at a time through the water and parked it on the other side and after about 2 iterations we experienced a landslide just a few feet away from where the bikes were parked. Luckily none of the stones hit the bikes as it would have spelled disaster on our plans. This particular instance can’t really be explained with pictures and you've got to watch the videos that would give you an idea on what we went through. Looking back after all these years, I feel that the sheer thrill of going through such things is what made me go back each time to this unpredictable and harsh terrain. Once we were through with the biggest hurdle of the route, we were caught in a surprise rain attack at Lari which is less than 10kms before Tabo. The desert valley must have never seen such a rain shower in decades like what we experienced that day and a local was a testament to our assumption. Had it rained for a little longer like that and all the gravel mountains would have had major landslides in the area. But there was a silver lining to the whole rain experience, something that I had never witnessed before. 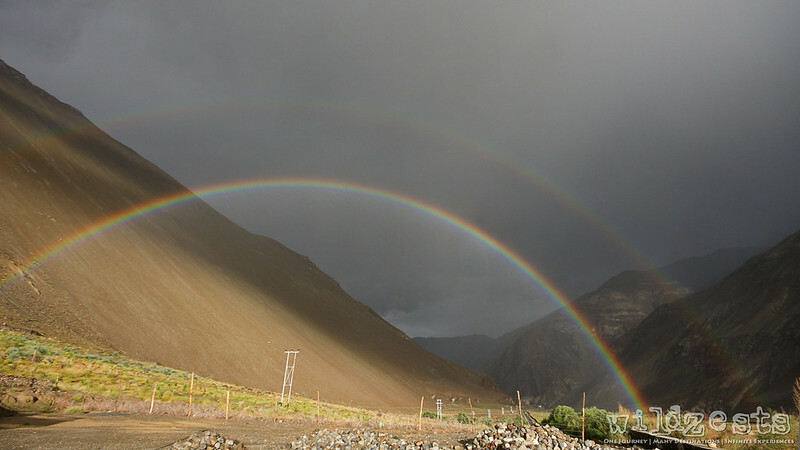 As we took shelter at the Lari Guest House waiting for the rain to subside, we were treated to a magnificent double rainbow. Never before have I seen the colors so distinctly in a rainbow as we saw here and the arch extended a full 180 degrees to complete the view. The stopover at Tabo was equally interesting with a visit to the Tabo Monastery which is a little over 1000 years old now. The place we stayed was really nice and had equally good food options too. The next day was the most controversial day of the trip where we argued over going to Chandratal or not. We had already been behind schedule and spending that extra day at the lake would mean one day less to get to Leh and back. This was also a day when my left shoulder had shown signs of fatigue. I also had had a fall for the day while navigating through a tricky soft mud patch where the front tire just sank in. Though there was no injury to either of us it did raise doubts about whether I could ride for the rest of the journey or not. Finally, we ended up at Losar where we pitched a tent and enjoyed the rest of the evening. 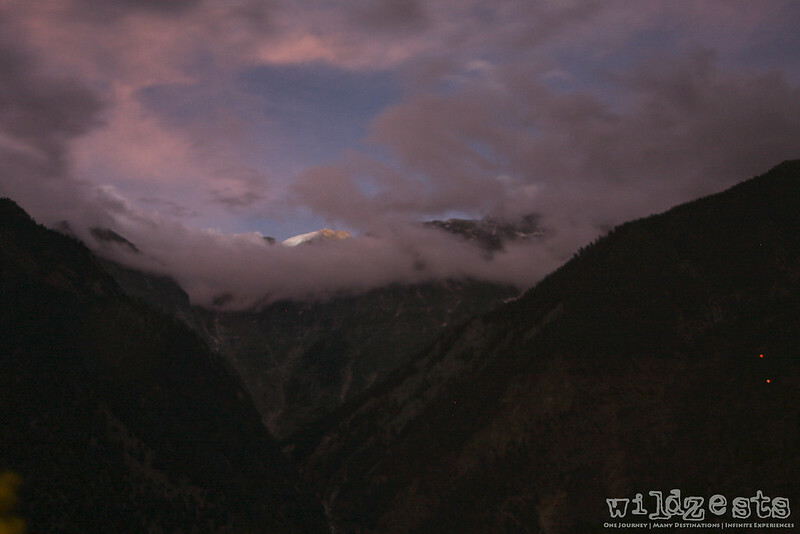 That evening at Losar was a turning point of the trip and the plan really started falling apart after this day. 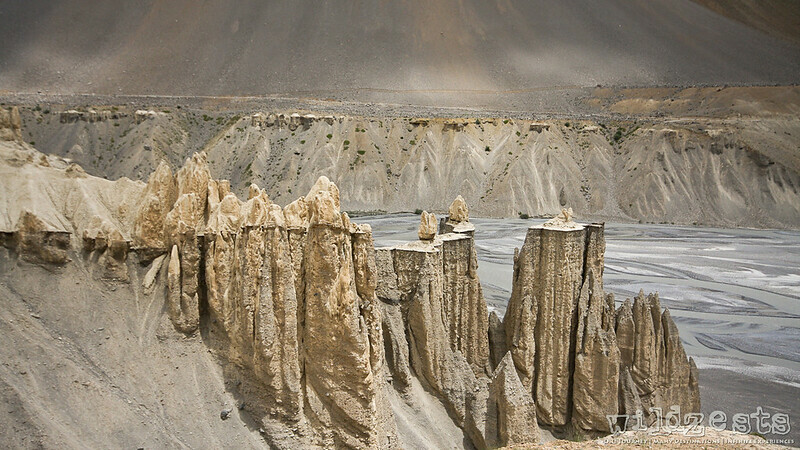 With all the bad roads that we had been riding through, my shoulder had gone bad to worse and I did not feel confident that it would be okay to ride to Leh and back with the pain always nagging you while you try to maneuver through the difficult terrain. The decision was not final though and I wanted to check if the painkiller would ease things out before I gave up. The following day we did another tough ride to Gramphoo and reached Sissu, the shoulder wasn’t getting any better and I decided to turn back from there. We decided to split the group and one of the bikes proceeded towards Leh while the rest 3 turned back from the Leh mission. After discussing a bit on what should be our future course of action, we took the road to Udaipur on the Keylong-Kisthwar route. 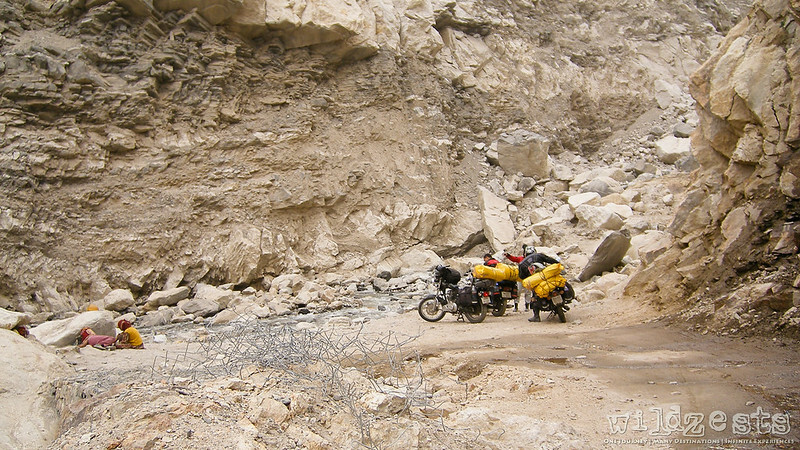 The new plan was to get through the Keylong to Kishtwar route and then ride down to Delhi. However, as we reached Udaipur we learnt about a medical emergency back home for a friend and she had to get back to Bangalore asap. 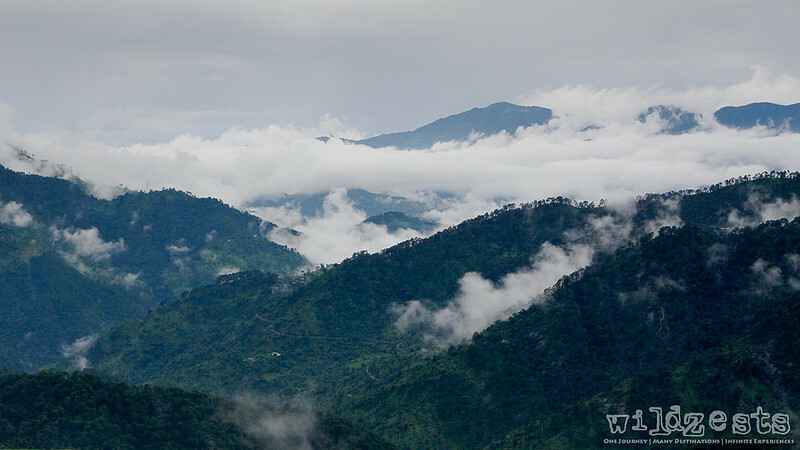 So we dropped the Kishtwar plan and got back to Manali on the next day where she boarded a bus to Delhi while we rode to Mandi for the night. Given that we had a few days at hand for the return journey we were now exploring for places to ride without causing too much trouble to my already damaged shoulder. After some rounds of discussion, the plan was finalized to ride to Dharamshala and then get to Amritsar. A quick stopover at Dharamshala was very fruitful since we were able to see the Dalai Lama at close quarters at the monastery. Soon, we were back on the road towards Pathankot where we reached around 6PM that day. Amritsar was another 100kms away and we thought we’d find some hotel on the way, but we were so wrong! Little did we know at that time that there were no hotels along the Pathankot-Amritsar route and we ended up riding all the way to Amritsar on the potholed road in the rain and complete darkness. There were two main things on the agenda at Amritsar, first was the Golden Temple and then we wanted to visit the Wagah Border. The Harmandir Sahib visit is always a divine experience with the temple working its charm to calm you down as soon as you enter inside. You instantly forget all the hustle-bustle on the streets that you entered from and the soothing live kirtans get your mind focused on the invisible force that binds us together. Even though I’m not a very devotional person, once in a while such places get me to sit down and pray. 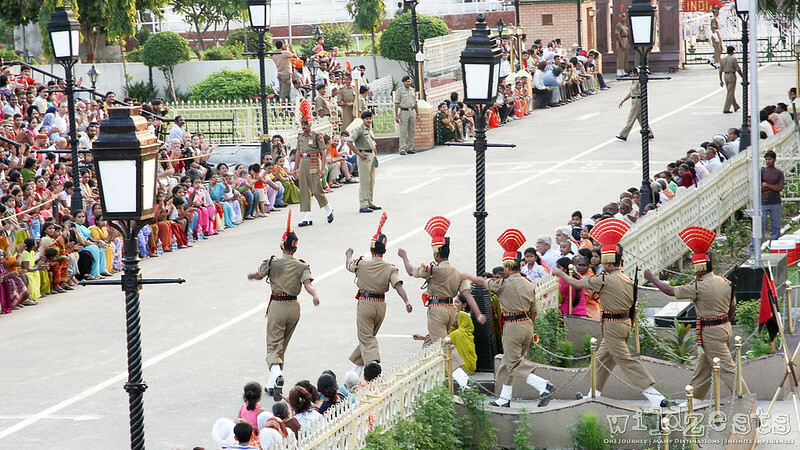 Next up was the Wagah Border and we were not even thinking that it could turn out to be such a huge event. The place was packed with people and it looked like more of a wedding reception than a military ritual until the time came to close the gates. This was a true commercialized version of the gate closing ceremony with loud music and dancing all happening out there. In the end, though we didn’t really follow the plan in this trip, it turned out to be an okay and we enjoyed it. We did accomplish the objective of riding for those two weeks, the only difference was that we didn’t ride in Ladakh this year. Later that year, my shoulder had started giving me lot of trouble and it was then narrowed down to a nerve compression issue. It took me a little over a month of physiotherapy sessions to get back to normalcy, so much for my endurance rides!